This role works as a business partner, helping to influence, challenge and support the achievement of the business strategy through our people in Bahamas. The objective of this role is to shape, drive and implement the People strategy that aligns to the needs of the local markets, the regional as well as the wider C&W and LLA organizations. Accountable for the effective delivery of all cyclical people activity for client group. For example: annual salary review, performance management and engagement activities. A high level of skills in managing organizational change. 5 to 7 years post-graduate experience as a People Business Partner ( HRBP) or multi-dimensional experience in different HR jobs at progressively higher levels or laterally. 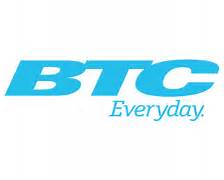 Bahamas Telecommunications Company Ltd, BTC for short, has been the regulator and provider of telecommunicatons services in The Bahamas for more than 100 years.